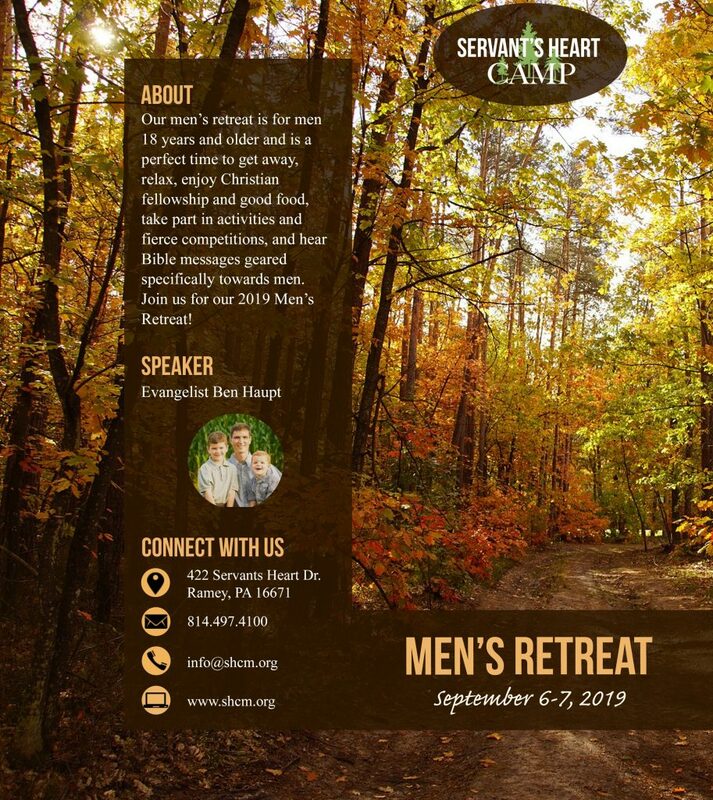 Click on picture for more pictures from the 2017 Men’s Retreat. Sorry. Somehow we did not get many pictures from the 2018 retreat. Bring: Bible, pen, sleeping bag, pillow, towel, washcloth, personal items, jacket, & flashlight. Do NOT Bring: Tobacco, alcoholic beverages, drugs, radios, tape/CD/MP3 players, electronic games, playing cards, or fireworks. Registration: Registration is from 2:30 – to 4:30 on Friday afternoon. If you are unable to arrive by 4:30, come as soon as you can and join the fun. Conclusion: The last scheduled activity on Saturday is supper at 5:00. 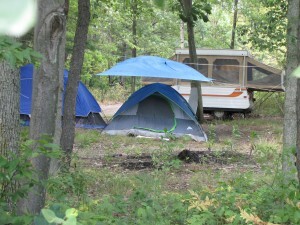 You can leave immediately following supper or stay and enjoy some of the camp activities until 7:30. Activities: Throughout the day on Saturday there will be many activities listed under the “competition” tab. Other activities include canoes, kayaks, hiking tails, watermat, 9 square in the air, OcDoBall, Quad Ball, and the game tent. Fishing: A PA fishing license is required to fish in the lake. All fishing is catch and release. You may want to bring a digital camera to prove you are not telling “fish” stories. Archery: If you would like to use the 3D range, please bring your own bow (no cross bows) and arrows. 22 tournament: We will provide the 22 rifles or you may bring your own. We will provide the 22 shells. 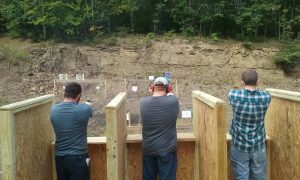 Your Hand Guns: There is one time on Friday and one time on Saturday for you to shoot your own handgun. Trap shot: We will provide the first five shells for the trap shoot at no additional charge. If you wish to shoot additional shells, you should bring your own or buy them at the trap range for $7.00 per box. Throughout the retreat you will have the opportunity to compete in many different activities. If you wish, you can keep track of your scores. The top five individuals in each category will be awarded points. At the end of the retreat on Saturday we will tally the points and the man with the highest score will earn the distinguished title of the SHC Outdoorsman of the Year. Listed below are some of the activities. Spear throwing at it’s finest. Each man will have the opportunity to throw ten spears at ten targets while being pulled in the chariot. We will provide each participant with a 22 rifle with 10 shots in the magazine. At the beep, participant may start shooting and must hit (4) six inch targets, (1) four inch target, and (1) two inch target. 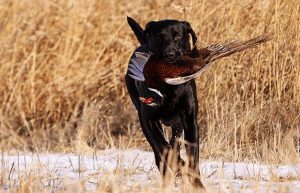 Competitors will shoot one at a time and we will be recording times. Each person may shoot multiple times throughout the day and we will record the fastest time. Safety glasses and hearing protection is required. Bring your own or we will provide. Each man will have multiple opportunities run the backhoe and to pick up five balls and drop them in a five gallon bucket. The 3D archery course has a total of 12 targets – (4) deer, (2) turkey, fox, ground hog, bear, hog, mountain lion, and a caribou. The archery course may be done during any of the tournament slots on Friday or Saturday. Bring your own bow. No cross bows. We do have a few extra bows if you would like to try it out. Fishing will be catch and release only or CPR: Catch, Photograph, and Release. Fishing may be done from the shore, dock, boats, canoes, or kayaks. Life jackets are required while in any boat. Each fisherman may measure and record his own catch (NO FISH STORIES). A PA fishing license is required. Blamzookas are air-powered cannons. You will have the opportunity to do some fun and fancy shooting as you shoot ten tennis balls at the targets. We will record the most hits. You may shoot multiple times. Using a laser gun, you will shoot against time to knock down six cans. It is fun and it can be addicting! Carpetball continues to be a favorite game at camp. Carpetball will have a double elimination tournament throughout the weekend. A double elimination horseshoe tournament will be running throughout the weekend. On Saturday there will be a 9 square competition. The men that make it to the center position the most often earn points. On the Bungee run, we will be keeping track of the person that can get the baton the closest to the end. A double elimination shuffleboard tournament will be running throughout the weekend. We think that you will be extremely impressed with the two practical and biblical object lessons on Saturday morning. The famous hymn Trust and Obey says: When we walk with the Lord in the light of His Word, what a glory He sheds on our way! While we do His good will, He abides with us still, and with all who will trust and obey. 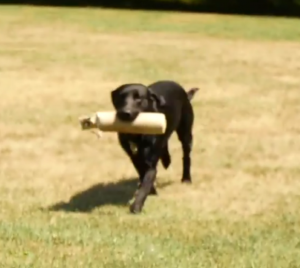 As I was working with my black British Lab, “Gunny”, recently, it occurred to me that that is exactly what Gunny does — he trusts me, and he obeys. As Gunny had to learn that trust over the past couple of years by listening to my words, and through much effort and repetition, doesn’t our walk with God require the same of us? Trust and obey! The picture was so clear, I wanted to share it with others. Perhaps it will help others to understand the blessing that comes with learning to trust and obey. Ben Haupt is an evangelist and a professional tree trimmer. 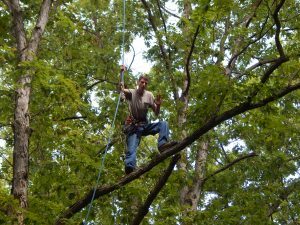 In addition to the messages on Friday evening and Saturday afternoon, he will be giving an amazing tree climbing demonstration on Saturday morning. He shares some very practical truths and challenges from high in the tree tops. 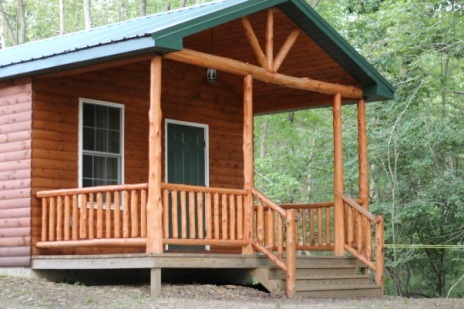 Price includes: One meal and a snack on Friday, three meals on Friday, lodging, and all activities. Supper is at 6:15 on Friday evening and the retreat concludes with supper at 5:00 on Saturday. 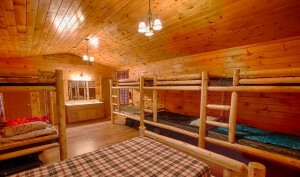 Includes four meals, snack, lodging and activities.